Structural lightweight concrete solves weight and durability problems in buildings and exposed structures. 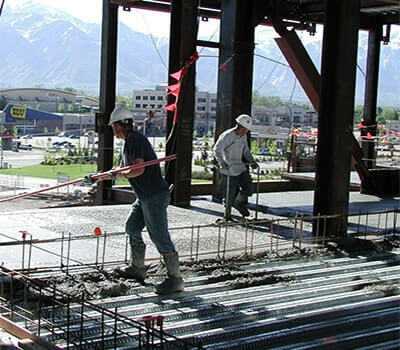 Structural concrete mixes designed with Utelite Expanded Shale Aggregates have strengths comparable to normal weight concretes, yet are typically 25% to 35% lighter. Utelite Expanded Shale Aggregates offer design flexibility and substantial cost savings by providing less dead loads, improved seismic structural response, longer spans, better fire ratings, thinner sections, decreased story height, smaller size structural members, less reinforcing steel and lower foundation costs. The excellent durability performance of concrete designed with Utelite Expanded Shale Lightweight Aggregate is a result of the ceramic nature of the aggregate, and its exceptional bond to and elastic compatibility with the cementitious matrix. Precast / Prestressed concrete made with lightweight concrete reduces the number of loads to the jobsite. Precast / Prestressed concrete mixes designed with Utelite Expanded Shale Aggregates have compressive strengths comparable to normal weight concretes as high as 12,000 psi, yet are typically 25% to 35% lighter. Concrete mixes may be designed to meet specific weight needs, allowing producers to maximize loads while meeting weight restrictions during hauling, and economizing overall project costs. Utelite Expanded Shale Aggregates offer design flexibility and substantial cost savings not only by reducing transportation and placement costs, but providing less dead loads, longer spans, improved seismic structural response, better fire ratings, less reinforcing steel and lower foundation costs. 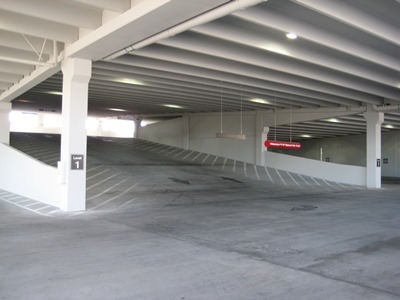 The excellent durability performance of concrete designed with Utelite Expanded Shale Lightweight Aggregates is a result of the ceramic nature of the aggregate and its exceptional bond to and elastic compatibility with the cementitious matrix.